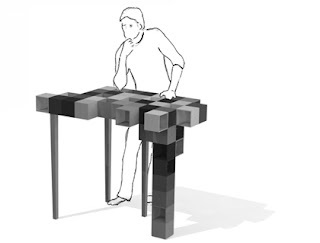 The Pixel table by Johan Lindsten is made up of a bunch of square blocks (sort of like screen pixels but in 3D) that can be rearranged "depending on the situation and desires" to any configuration you like. Nice! It's not only a great look, but gives you plenty of storage options. 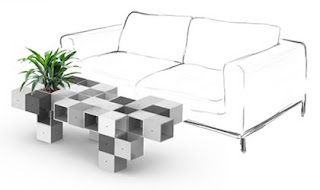 It looks like you have to assemble it box by box though, so I'm not sure how many times you're going to rearrange it. But it's nice to have the option. Nice idea, simple but sharp !